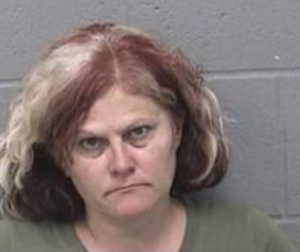 MCCUNE, Kan. (AP) — A 46-year-old woman is charged in a series of arson fires that have plagued the southeast Kansas town of McClune for the last three years. Crawford County authorities say Sherry Kerby, of McClune, was arrested Monday night by investigators from the county and the state fire marshal’s office on one count of arson to a dwelling. Further investigation led to five more charges of residential arson and one count of aggravated arson. Authorities didn’t say how Kerby was linked to the fires. The Pittsburg Morning Sun reports authorities have been investigating arson fires at 13 structures in McCune from Sept. 5, 2015, to July 3 of this year. The investigation is continuing. Kerby is being held on $350,000 bond. It wasn’t immediately clear if she has an attorney.